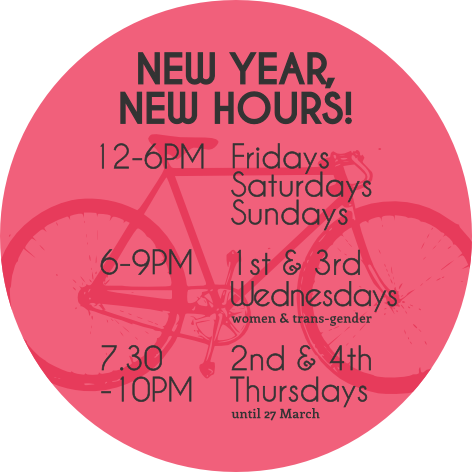 Broken Spoke Bike Co-op | New Year, New Hours! Starting in 2014, we’ll also be open on Sundays! Look out for this little pink sticker on our flyers to remind you!